Where we’ve been, where we’re going, and answers to all of the questions that many of you have been asking. 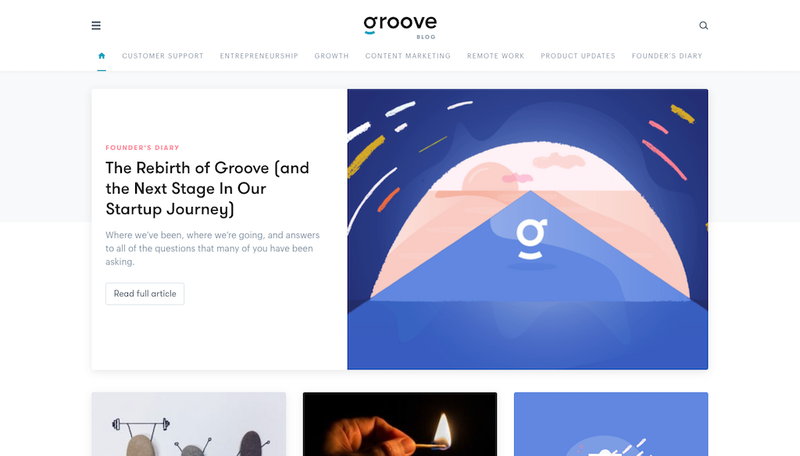 Groove is one of my favorite content marketing success stories. It's a shame "Startup Journey" has gone dark. Hopefully they revitalize it soon. Over the last several months, reading messages like this has been hard. Every email, comment, and tweet is a punch in the gut; a reminder that after five years of building relationships with our customers and readers and winning their trust…that I’m letting them down. And the worst part was knowing that I had no good news to share. That it wasn’t quite time yet. And that I, and our team, our customers, and our readers, would have to wait. Because we had something big in the works. And after twenty of the toughest and most trying months in the history of our company—more on that in a bit—we’re finally ready to share what we’ve been working on. When we launched this blog just over five years ago, we were an early-stage startup sitting at $28,525 in monthly recurring revenue. 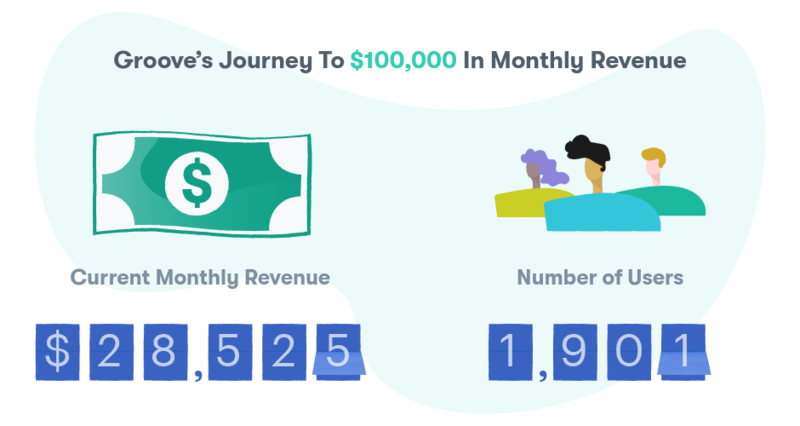 We kicked off a “Journey to $100K” that reached its initial goal 14 months later, and we reset the goal to $500K. And each time we set a milestone, deep down inside, I hoped that once we hit that seemingly out-of-reach goal…that things would get easier. That the startup journey would no longer be such a brutal, demanding haul. Well, we’re now more than twenty times the size we were when we launched this blog, and I can say without a doubt: it hasn’t gotten easier. I hope this isn’t discouraging, because all this is not to say that it hasn’t been worth it: this startup journey has been—and continues to be—the most rewarding of my life, and I’m enthusiastically grateful that I get to work on this business every single day. But while we no longer struggle with many of the challenges we had in those early days before anyone knew what Groove was, we’ve encountered many new challenges as we’ve grown. Growth is a double-edged sword. When we hit the milestones we once dreamed of, and no longer had to worry about how next month’s hosting bills would be paid, we earned the luxury of being able to step back and consider the business on a much longer time horizon. 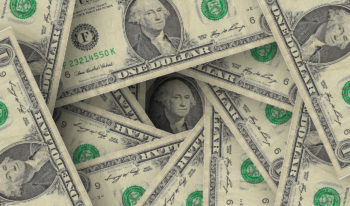 And we realized that, while next month’s bills would be easy to pay, if we wanted to be winning in one, two, five or ten years…we’d have to do things differently. Growth challenges like infrastructure, technical debt, cohesive design, and team structure—things we never spent much time worrying about in the early days—were the new mortal threats. Our growth began to feel plodding like it did in the early days, and we couldn’t seem to figure out how to break free from our “new” baseline revenue. Our product was beginning to feel stale, and customers were letting us know. Some by emailing, and others by leaving. The technical debt that was simply annoying three years ago was now costing us dearly, stopping us from being able to make the updates and fixes we knew we needed. 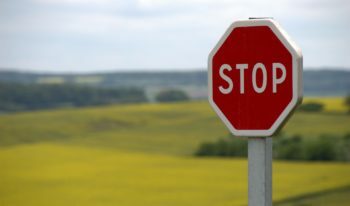 We realized that if we didn’t start tackling these issues immediately, not only would our business continue to stagnate…but we’d slowly begin to sink. So, we dropped everything, went into a hole, and got to work. It was excruciating at times, and while I’d long ago learned that patience is a founder virtue, I struggled desperately to remember my own advice when it seemed like the light at the end of the tunnel still hadn’t come into view. But now, a year and a half later, we’ve painstakingly torn down, rethought, and rebuilt nearly everything we worked on in the previous five years. Re-doing half a decade of work isn’t just technically challenging; it’s emotionally draining to scrap what you felt was your best work just a few short years ago. But we had to do it. And now, we’re finally here. We’re ready to share the culmination of an incredible amount of hard work by a team that continues to amaze me. As we officially revive this blog, here’s a look at what a 20-month rebuild—of a product, and a brand—looks like. The changes we’ve made do not only affect the look of our products and brand. Everything that is Groove has essentially been rebuilt from the ground. They were the first words a long-time customer said to me when I showed her the new versions of all of our new products. And while we had developed our products with a lot of customer feedback along the way, and while I was confident that the team had done a great job…this was the first confirmation that we had, truly, knocked it out of the park. Groove 2.0 has been rebuilt from the ground up to be up to 8× faster and far more powerful than it has ever been. 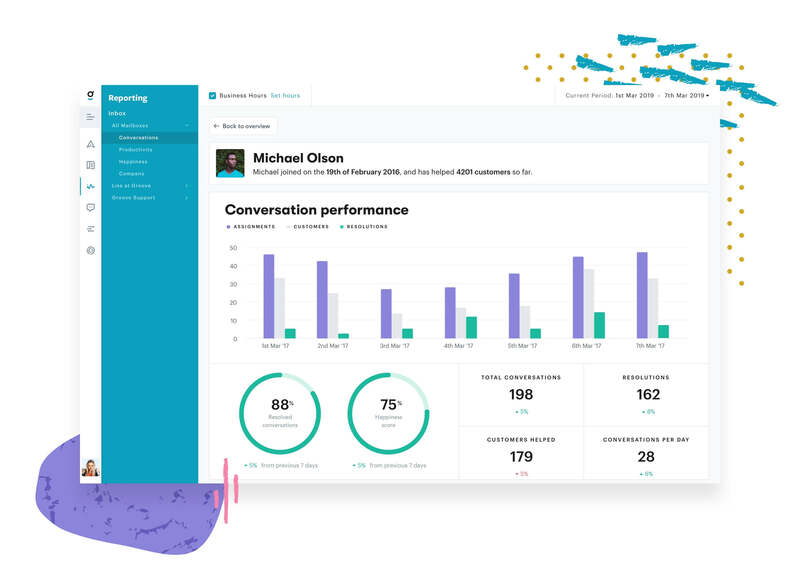 We’ve introduced game-changing new features for better collaboration, and a new reporting platform that gives teams unparalleled insights into their performance. And, perhaps our longest-standing customer request, we’ve rebuilt our Knowledge Base product from the ground up to be the absolute best option for help docs on the market. Reliable and robust: Groove 2.0 is up to 8× faster than the legacy version. Conversations load in an instant, search results are returned quicker. Infrastructure updates are now happening in real time throughout the app without you even noticing it, keeping you and your team always on the same page. Intuitive and easy to use: Groove’s parsing and HTML rendering engines have been rebuilt to make your conversations always look good. Search has been fully revamped to be faster and more precise, enabling agents to always find the information they’re looking for. This, topped with an intuitive UI, simplified workflows and keyboard shortcuts, makes delivering exceptional customer support easy as a breeze. Customizable: With resizable panes, quick folders, and color coding for tags, Groove 2.0 allows agents to customize their individual inbox views so that it’s easy to prioritize what’s most important while working in a comfortable view. Designed to grow with your team: no need to worry about outgrowing the tool. Groove 2.0 is designed to serve both small and large teams across your company. Data-driven: With Groove 2.0 Reports, you get an instant overview of your support flow, insights into your team’s performance, and an analysis of how well your knowledge base is doing as a self-help resource. 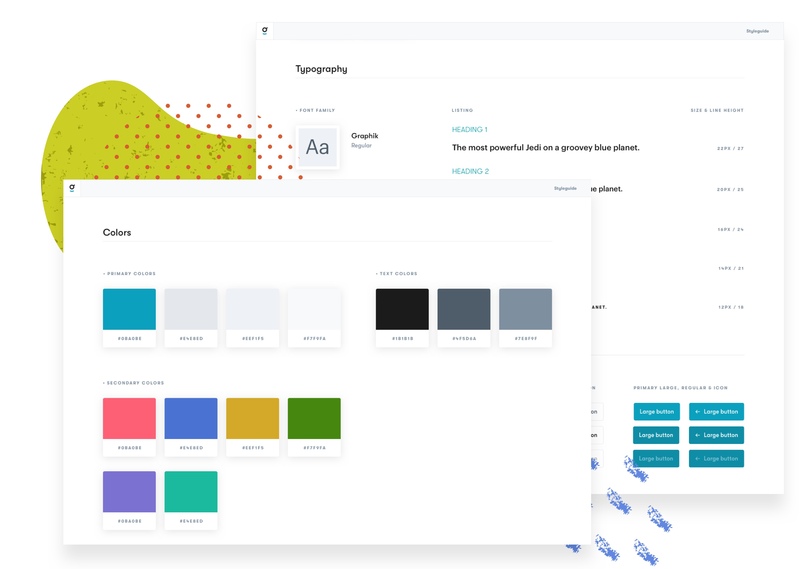 Built to help your customers help themselves: with the new Knowledge Base supporting WYSIWYG-based rich text editing, you can easily build UX-friendly and beautiful KBs that match your company’s branding and colors. The new KB is also optimized for mobile, SEO, and open graph. 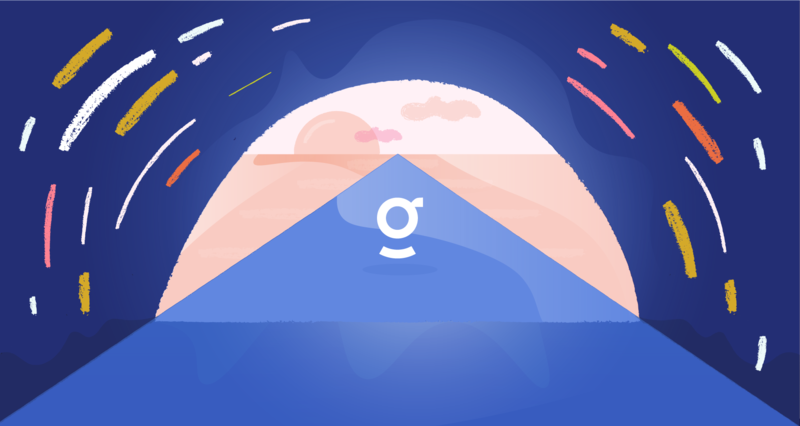 Integrated with the tools you are already using: Groove 2.0 is integrated with your other favorite tools such as Stripe, Trello, Shopify, and MailChimp so that you can get your work done faster. Forward-looking: Last but not least, rebuilding Groove boosts our development velocity going forward. That means quicker turnaround on features, integrations, and bug fixes. Groove 2.0 is comprised of three products: Inbox, Knowledge Base, and Reports. 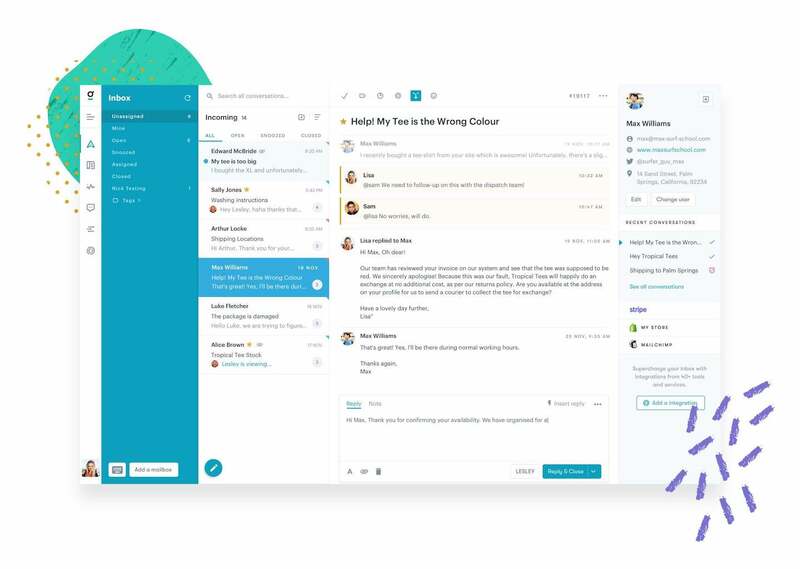 Inbox is a collaborative email app for teams to work together on email inboxes, increase response time, and save time. With the new Groove 2.0 we are able to work properly with multiple people at the same time on our support tickets, without multiple agents accidentally answering the same question. Even when we’re not at the same location, this goes very well. The real-time and clear interface makes working with the system very easy, we were able to start using it in production immediately. As a result, our average response time is faster since using Groove! 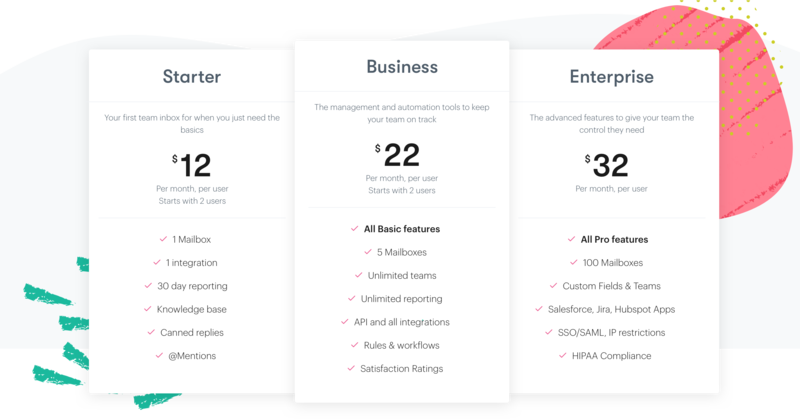 Knowledge Base makes it easy to help your customers support themselves by letting you build beautiful, professional-looking help docs. The Knowledge Base on Groove 2.0 is exactly what we were waiting for! We were previously only using Inbox from Groove, but now we killed off our legacy KB on another service and added it to Groove. Thanks for everything you have done to make things easier for our teams. And Reports is the easiest way to track the key metrics that let you know how your team is doing. The Reports in Groove 2.0 are awesome and make it so easy to track the team’s performance! I’m SUPER excited about the ability to set business hours on reporting. Thanks for making our lives easier. As we come out of our beta, all new trial users will now be using Groove 2.0. While functionality is important, it’s also been crucial for us to make sure that using Groove is a good experience. 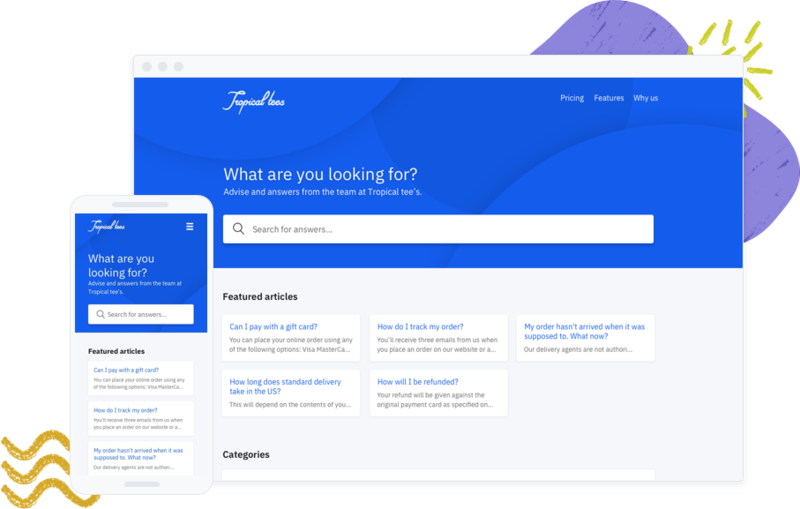 So from the ground up, we built a cohesive style guide that has been used across all apps and the website that gives a clean, modern feel to the all-new Groove experience. As part of this new focus, we also decided it was time to retire the good ol’ rainbow shell which has been part of Groove for so long. Groove is now represented with our simple Smiley “g” logo, which ties into our new clean aesthetic. It was important to the team that we didn’t lose our overall Groove-y feeling with the new design, so we have kept light, fresh colors, added a few playful elements, and adopted a fun new font for the website (GT Walsheim) and very clean, readable font for all interfaces (Graphik). Our fresh new branding and website reflect our new approach towards building the most powerful—yet easiest to use—product on the market. From the very first step of Groove’s Startup Journey, this blog has, to me, been one of the most gratifying and exciting parts of this business. But after publishing close to 500 articles, we needed to make the reader experience better. Especially when it comes to finding the exact content you’re looking for. New design: cleaner, easier to navigate, more mobile-friendly, and eye-catching design focused on improving the reading experience. New categories: articles reorganized into new categories and flow to make discovering content more intuitive. Remote Work: We’ve been a fully distributed team since Day 1 of Groove. This is our best advice on how to succeed with remote work. Search and content recommendations: search functionality across the blog, most popular content widget on the blog homepage, and recommended articles section at the bottom of each post to make finding interesting articles easy as pie. Featured author pages: each of our authors has their unique style and their own follower-base so we have made all their articles accessible from a dedicated page. But while our blog will be bigger and better than ever, we won’t be abandoning our roots. What made our blog so successful in the early days—and so personally rewarding to write—was the transparent view into our journey as a startup, and into my journey as a founder. 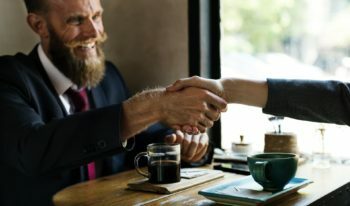 Writing those articles was tremendously useful to me, as it helped me reflect on what I was learning and be more thoughtful about our business, and I hear time and time again that those articles were many readers’ favorite part of the blog, too. While I won’t personally be blogging every week anymore, rest assured that this part of the blog isn’t going away. I’ll still be documenting my own perspective on this journey in a new monthly feature we’re calling Founder’s Diary, where I’ll return to sharing the lessons I’m learning along the way as we work to shepherd Groove through this new stage of growth. I’ll be publishing each month, and I can’t wait to share what I learn. This is a lot to take in, I know. First, I’m sorry. To our longtime customers and readers, I’m sorry for making you wait so long for the Groove you’ve long deserved. I’m relieved and overjoyed that we’re finally delivering it to you. Second, thank you. So many of you have reached out to offer feedback, requests, and encouragement as we’ve worked through these projects. I can’t express just how grateful I am for your support. And third, won’t you join us on this next stage of our journey? We have a lot to share, a lot more to learn, and I can’t wait to go through all of it with you. Your Best Employees Will Quit. Here’s What To Do About It.